U.S. Missile Submarines Cut Off by Potential Soviet Nuke Attack? 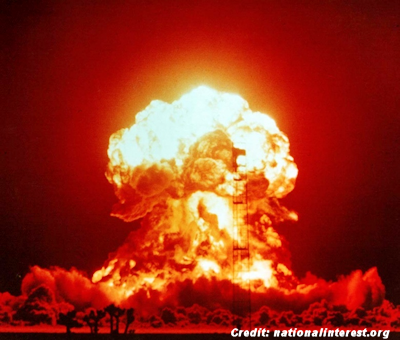 A key component of the U.S. doctrine of mutually assured destruction — commonly and appropriately known as MAD — was that American troops would still be able to retaliate if the Soviet Union launched a nuclear attack. But for a time, the Pentagon was seriously worried that its own nuclear missile submarines wouldn’t get those orders in time. The agency included the report in a response to a private individual’s Freedom of Information Act request. The website GovernmentAttic.org published the collection of documents totaling more than 1,000 pages. Leaked UFO Photos Taken From US Submarine?